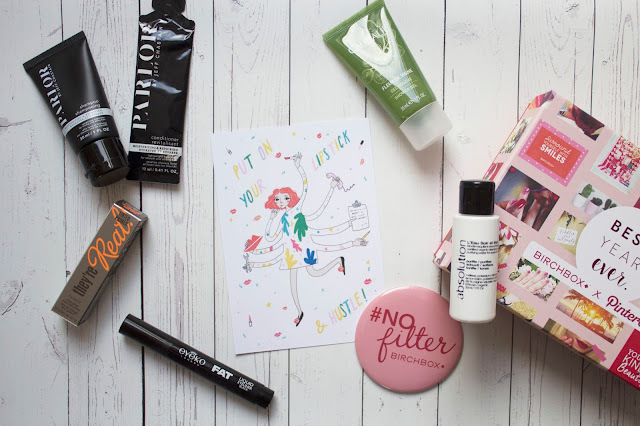 Birchbox £12.95* Benefit They're Real Tinted Primer £18.50 Eyeko Fat Liquid Eyeliner in Black £12 Caudalie Fleur de Vigne Shower Gel £9 Parlor Shampoo and Conditioner £16 Absolution L'Eau Soir et Matin £27 This month's Birchbox is in collaboration with Pinterest, with lots of cute illustrated prints in the box too which are absolutely adorable! You also receive a cute little mirror to help you do your makeup on the go, perfect to pop in your handbag for when you're running late and need to do your makeup on the train or for touching up your makeup throughout the day! Receiving a Benefit product in my Birchbox is always great and this month you get their tinted primer which separates, lengthens and boosts every lash to make sure they're ready for mascara! I was also really happy to get the Eyeko Fat Liquid Eyeliner as I've used this before and really love it for creating a really thick wing! It's super black and the nib makes it really easy to appy in seconds! The Caudalie Shower Gel is perfect for me as it's formulated for even the most sensitive of skins, it's delicate so won't cause your skin to dry out or become irritated! 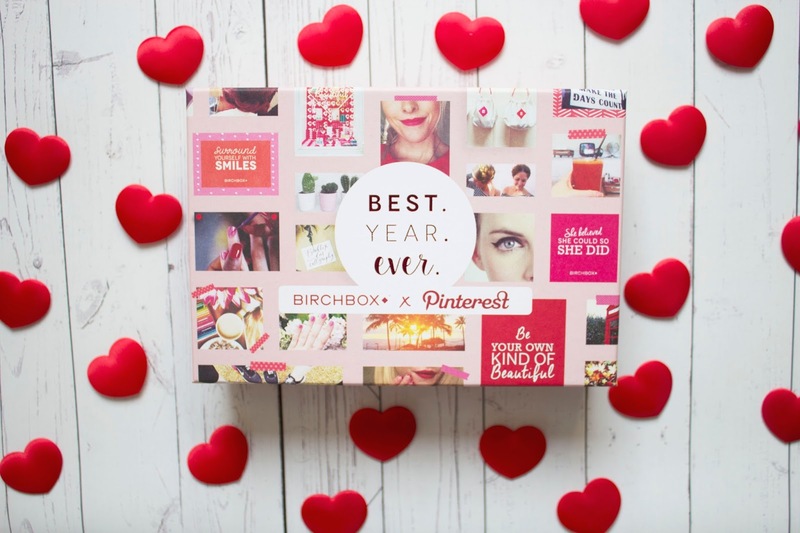 Which products are your favourite from this month's box?